Atari, one of the world’s most recognized publishers and producers of interactive entertainment, today announced the worldwide availability of Pridefest, an original social-sim game inspired by the Lesbian, Gay, Bisexual, Transgender and Queer (LGBTQ) community. 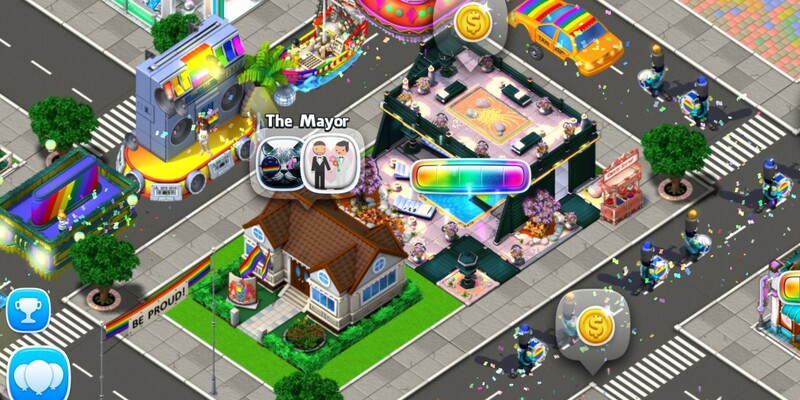 Available now on the App Store for iPhone, iPad, and iPod touch as well as on Google Play for Android devices, Pridefest is a free-to-play game designed to emulate the colorful atmosphere and inclusive spirit of the hundreds of real-world Pride parades held annually around the world. In anticipation of the launch, Atari first showcased Pridefest at NYC Pride and Flame Con where members of the LGBTQ community and allies received an exclusive sneak peek of the game.